The Modesto Mirror is a striking tabletop sculpture. 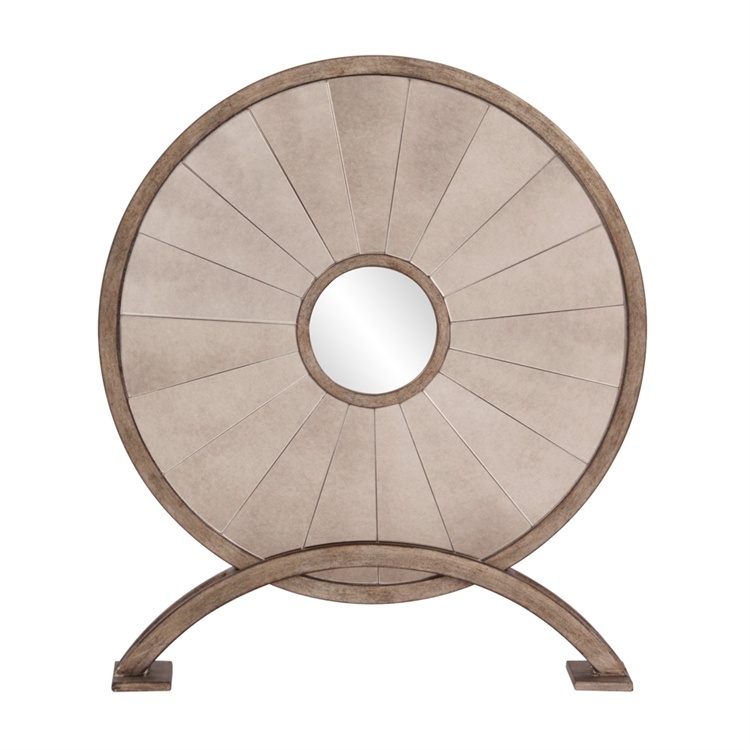 A disc mirror in mottled warm silver and antique mirror sits into a matching base. From Contemporary, to Art Deco; from Transitional to a Scandinavian look, plus everything in between this piece is sure to fit right into your decor. This mirror is a perfect accent piece for any design. Customizable for larger orders.